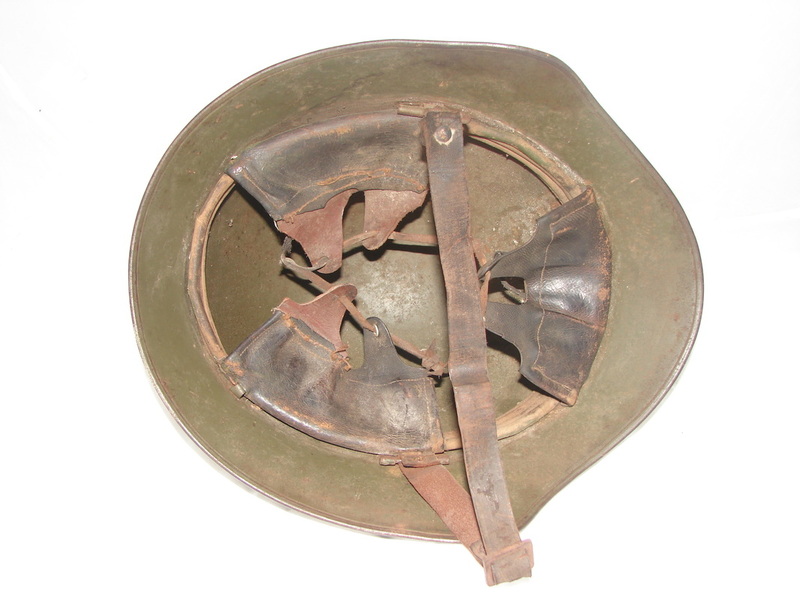 The first steel helmet adopted for widespread issue within the Argentine Military was the Swiss Model 1918 helmet. 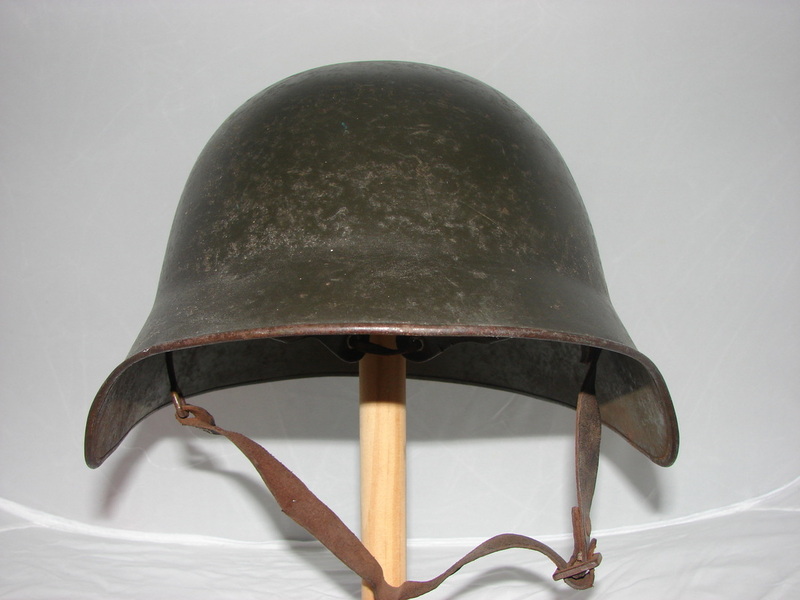 The M18 was adopted as the M38 helmet after a series of trials in 1937 which included a number of other European designs. 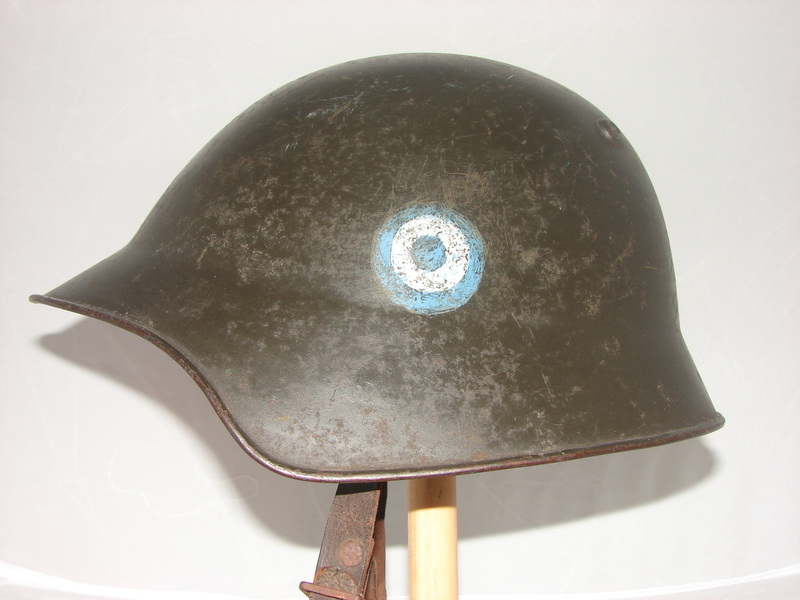 The M38 helmet was identical to the Swiss original. 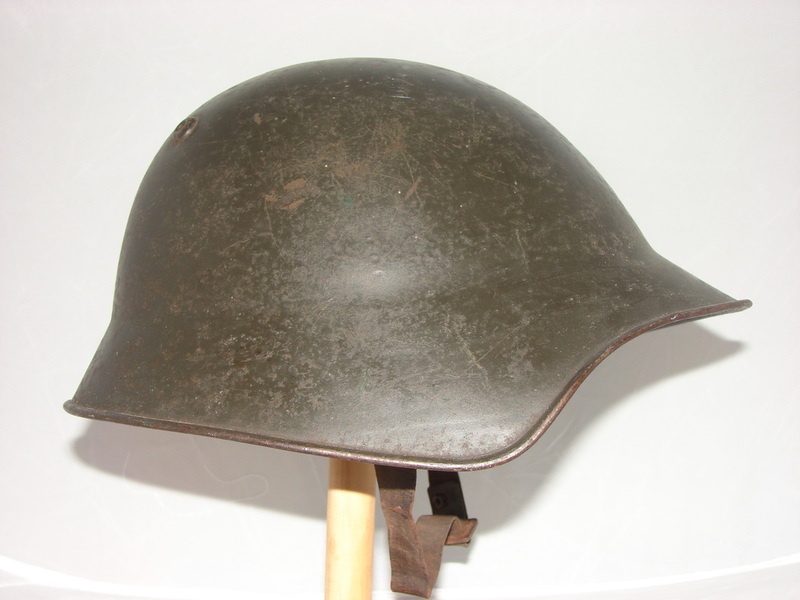 These helmets where shipped from Switzerland with a Dark Green colour but on arrival were repainted with a dark Olive Green colour on the outer shell. Some units also repainted the insides of the helmet but this example shows the two different colours. 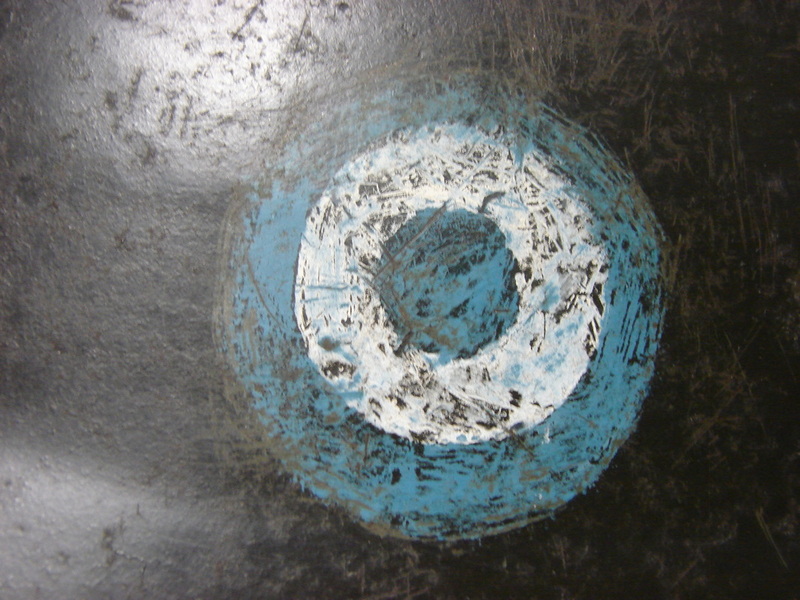 These helmets are often painted with national roundel of pale blue/white/pale blue.